TRAVEL RAPIDLY ALONG SUSPENDED CABLES OVER THE YUNGAS VALLEY FOR A THRILLING EXPERIENCE AND UNPARALLELED VIEWS. EXPLORE THE QUAINT TOWN OF COPACABANA AND MYSTICAL SUN ISLAND LOCATED ON LAKE TITICACA. VISIT THE MAGNIFICENT RUINS OF TIWANAKU. VISIT THE HIGHLIGHTS OF THE CITY OF LA PAZ AND MOON VALLEY. TOUR LASTS APPROXIMATELY 4 HOURS. DEPARTURES AT 9:00 HRS. AND 14:00 HRS. 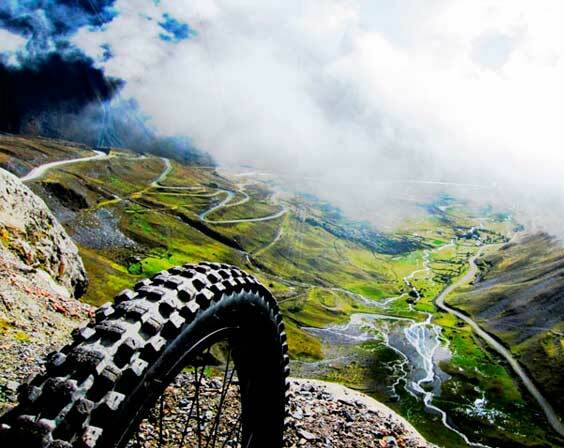 AN EXTREME BIKE ROUTE WITH AMAZING PRECIPICES, NARROW CURVES AND SPECTACULAR RAINFOREST SCENERY. A GUIDED TOUR OF THE MOST IMPORTANT ARCHEOLOGICAL SITE OF THE POWERFUL TIWANAKU CULTURE. ENJOY A PANORAMIC LUNCH AT THE TOWN OF COPACABANA ON THE LAKE. TAKE A BOAT TO EXPLORE THE INCA RUINS ON MYSTICAL SUN ISLAND AND MORE! FULL DAY TOUR OF THE WORLD'S LARGEST AND HIGHEST SALT DESERT, AND ITS SURROUNDINGS. 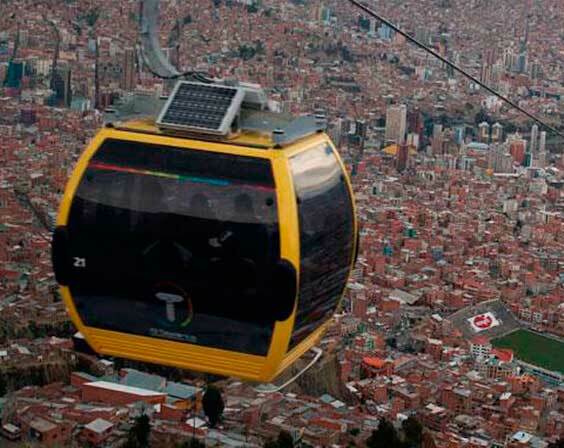 INTRODUCTORY TOUR OF BOLIVIA'S MOST COSMOPOLITAN CITY. SURPRISINGLY, IT PRESERVES ITS COLONIAL CHARM & BOASTS A GROWING ARTISTIC CIRCUIT. SPEND THE DAY IN THE BEAUTIFUL COUNTRYSIDE TOWN OF SAMAIPATA IN SANTA CRUZ. VISIT A PRE-HISPANIC FORT, WATERFALL CAVES & MORE. GUIDED VISIT TO THE GUEMBE BIOCENTER & RESORT, A PARADISE OF EXOTIC PLANTS, TROPICAL FORESTS & WILDLIFE. 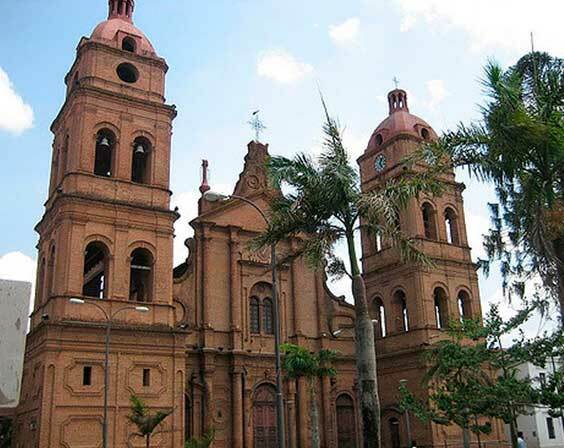 DISCOVER TWO BEAUTIFUL JESUIT MISSION TOWNS DECLARED CULTURAL HERITAGE OF HUMANITY BY UNESCO. A STARGAZING EXPERIENCE LIKE YOU'VE NEVER SEEN BEFORE. CAPTURE INCREDIBLE PICTURES OF THE SALAR AT DAWN AS AN EXPLOSION OF COLORS UNRAVELS BEFORE YOUR EYES. EXPERIENCE THE BEST OF SANTA CRUZ IN THIS 4 DAY JOURNEY THROUGH EXCITING DESTINATIONS IN AND AROUND THIS TROPICAL CITY. IMMERSE YOURSELF IN THE LAND OF THE INCAS. TRAVEL THROUGH A SEA OF SALT. NAVIGATE THE HIGHEST LAKE IN THE WORLD. THE MOST COMPLETE TRAVEL ITINERARY TO THE BEAUTIFUL, CULTURAL AND MYSTICAL DESTINATIONS IN BOLIVIA.